This article was last updated Jul 23, 2018, but some terms and conditions may have changed or are no longer available. For the most accurate and up to date information please consult the terms and conditions found on the issuer website. In May 2014, Wells Fargo unveiled two new cards under its partnership with American Express — the Wells Fargo Propel 365 American Express® card and the Wells Fargo Propel World American Express® card. Now the credit card company has unveiled an upgraded version of the 365 card — the Wells Fargo Propel American Express® Card. Existing Propel 365 cardmembers have automatically been moved over to the new card. 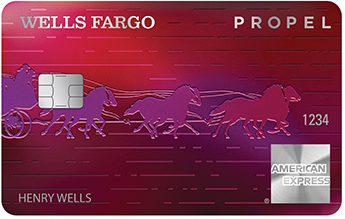 As of July 16, the Wells Fargo Propel American Express® Card is available to the public. There are several differences between the old and new card that might please existing cardmembers and tempt new folks to take a look. The old card offered 3 points per $1 spent on gas and double points on dining. The Wells Fargo Propel American Express® Card has expanded the categories that earn more points per $1 spent — Earn 3X points for eating out and ordering in, 3X points for gas stations, rideshares and transit, and 3X points for travel including flights, hotels, homestays and car rentals. Earn 1X points on other purchases. They’ve also cut the annual fee for the Wells Fargo Propel American Express® Card down to $0. The old card carried an annual fee of $45. While the new card comes with better travel rewards and a $0 annual fee, the company has dropped the annual relationship bonus cardmembers used to earn for being a bank customer. That bonus offered cardmembers a bonus of anywhere from 10% to 50% if they held certain types of Wells Fargo accounts and kept a certain account balance. While the Wells Fargo Propel American Express® Card is an upgrade from the Wells Fargo Propel 365 American Express® card, you may want a card that gives you even more flexibility when using your points and more perks. The Uber Visa Card* could be something to consider as an alternative, for example, which we’ll cover later in this review. A welcome bonus. New cardmembers earn 30k bonus points when you spend $3,000 in purchases in the first 3 months. It adds up to a redemption value of $300. No annual fee. With its 3X points per $1 spent for travel and dining along with good travel and purchase perks, this card’s $0 annual fee makes it very appealing to new cardmembers. 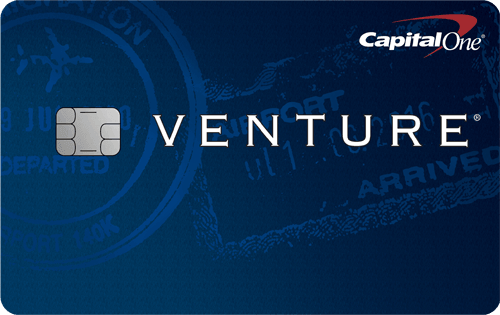 Other travel-branded cards with some of this card’s features, like the Capital One® Venture® Rewards Credit Card come with an annual fee that is waived the first year. Flexible redemption options. Each point is worth 1 cent. So, if you earn 5,000 points, for example, you’ll have $50 worth of rewards to redeem. You can use your rewards to pay down an existing Wells Fargo loan or mortgage, get cash at a Wells Fargo ATM, deposit them into a Wells Fargo checking or savings account or get a statement credit. If you don’t have a Wells Fargo account, you can get cash back as a credit, or a deposit to a qualifying account or a paper check. Online auctions for concert tickets, sporting events, merchandise or vacation packages. Travel, including flights, cruises, luxury vacations and unique experiences. Digital downloads of music, games and eBooks. Merchandise and gift cards at the Go Far® Rewards website. Travel rewards. One of the big benefits of this card is that you can now earn 3X points per $1 spent on travel. “Travel” purchases eligible for rewards include spending on airlines, car rentals, hotels and homestays, cruises, ride sharing, railways, parking, taxis and tolls. No caps or expiration dates. There are no limits on the points you can earn and your points don’t expire as long as your account stays open. Limits on withdrawing cash. If you want to redeem your rewards for cash at a Wells Fargo ATM, you must have a Wells Fargo account. You can only withdraw cash in $20 increments. Airline and hotel fees. If you use your rewards to book airfare on the Go Far® website, you may have to pay a $24.00 nonrefundable processing fee. You can only use your rewards to pay for a hotel’s room rate and applicable taxes. Other charges, like resort fees, energy surcharges and incidentals can’t be paid with rewards. Emergency assistance program including medical, legal, personal and travel help. Lost or damaged baggage insurance. Retail protection for items bought with the card that are damaged or stolen. Cellphone protection for repair or replacement. Welcome Offer/Sign-up Bonus Earn 30K bonus points when you spend $3,000 in purchases in the first 3 months Earn $100 after spending $500 on purchases in the first 90 days from account opening. A no-fee card that’s similar in rewards and perks to the Wells Fargo Propel American Express® Card is the Uber Visa Card. The right option for you might depend on how much you spend on dining. The Uber Visa Card offers more cash back per $1 spent on dining. It also offers a sign-up bonus — Earn $100 after spending $500 on purchases in the first 90 days from account opening. That’s lower than what’s offered by the Wells Fargo Propel American Express® Card; but you do have to spend more to get those bonus points. 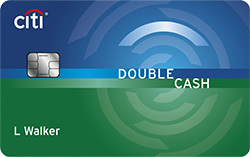 The cashback bonus is applied to your card as soon as you meet the spending requirement. The Uber Visa Card has a benefit for streamers: If you spend at least $5,000 on your Uber Visa Card, you can earn up to a $50 credit to cover the cost of your online digital music, video and shopping subscription service on your card anniversary date. On the redemption front, they are relatively equally matched. You can redeem Uber Visa points for Uber credits, gift cards or cash back, all via the Uber app, once your balance hits $5 or 500 points. But you have to add the card to your Uber account to take advantage of this feature. There’s a $500 daily limit to redeem Uber credits or get cash back via bank deposit. Unlike the Wells Fargo Propel American Express® Card, you can’t transfer or gift the rewards you earn. As long as the account is active and in good standing, your points never expire. You don’t pay foreign transaction fees on the card. There are other cards that offer higher cash back for popular categories like airfare, hotels and dining. The cashback balance on your Uber Visa Card must reach $25 before you can use it for gift cards, statement credit or direct deposit. Your cash back redemption is capped at $500 a day. The card doesn’t have an intro balance transfer rate. 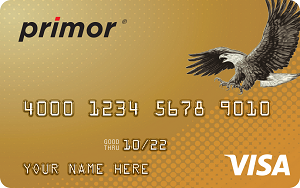 *The information related to the Uber Visa Card has been collected by CompareCards and has not been reviewed or provided by the issuer of this card.